30 Rock finally lost its award-winning momentum this year at the Golden Globes (just ignore Alec Baldwin's absentee win) when it was beat out for best Comedy/Musical series by Glee. It was a nice change of pace, to say the least. I also applaud the Hollywood Foreign Press for the nomination of Modern Family, which has only been around for a few months, but has made a big and well-deserved splash. But here's my question: if the newborn Modern Family can earn a spot in the ceremony, where was Parks and Recreation? Parks and Recreation has completely blown away the other Thursday night NBC shows this season. Last week's episode put the icing on the cake, when Will Arnett made a guest appearance as a potential love interest for Amy Poehler . But it wasn't just his spot-on and lingering facial expressions that made this episode such a stand-out. While we've already determined that Parks and Recreation is no longer just The Office 2.0 (or 3.0, I guess), what was glaringly clear last Thursday was that Leslie Knope is no longer just a female version of Michael Scott. Yes, she still shares a lot of characteristics with the World's Best Boss, but there is something strikingly different about Leslie: she has a sense of self-awareness. She may say something crude and inappropriate to the camera, but instead of just smilingly blankly after the fact, she usually realizes her mistake. Similarly, and this is important, she has the ability to grasp when other people are crazy (i.e. Will Arnett's character) something that Michael Scott can never do (i.e. Todd Packer). 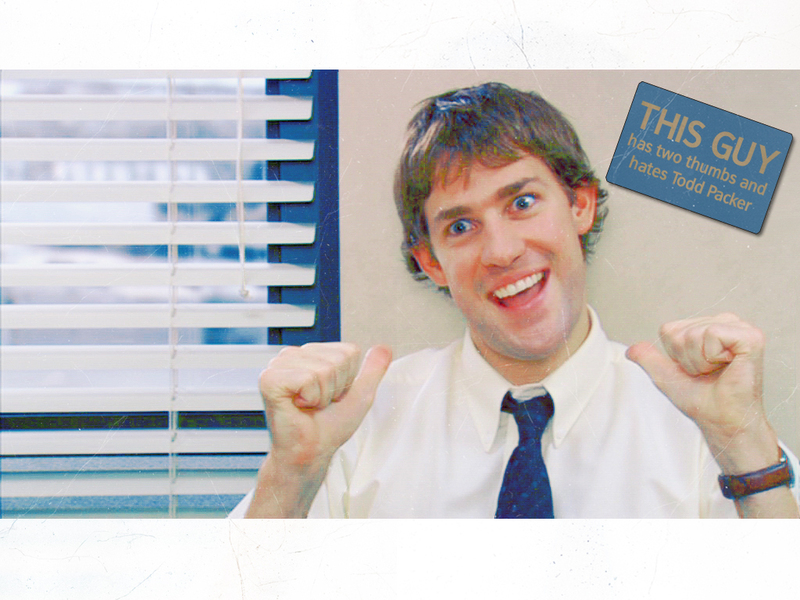 So, who has two thumbs and thinks Parks and Recreation should have won the Golden Globe?